The 4Rs Youth Movement works with the support and coordination of a team of dedicated, engaged organizations from across Canada. The AFN National Executive is made up of the National Chief, 10 Regional Chiefs and the chairs of the Elders, Women’s and Youth councils. Regional Chiefs are elected every three years by Chiefs in their regions. Chiefs, who are elected by the citizens and members of their respective communities, elect the National Chief every three years. 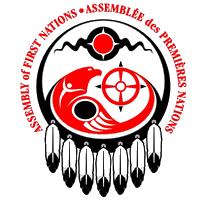 The role of the National Chief and the AFN is to advocate on behalf of First Nations as directed by Chiefs-in-Assembly. This includes facilitation and coordination of national and regional discussions and dialogue, advocacy efforts and campaigns, legal and policy analysis, and communicating with governments, including facilitating relationship building between First Nations and the Crown as well as public and private sectors and general public. 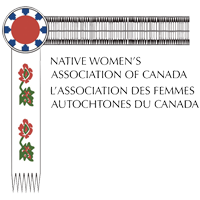 The Native Women’s Association of Canada (NWAC) is founded on the collective goal to enhance, promote, and foster the social, economic, cultural and political well-being of First Nations and Métis women within First Nation, Métis and Canadian societies. As a national organization representing Aboriginal women since 1974, NWAC’s mandate is to achieve equality for all Aboriginal women. The Indigenous Peoples’ Assembly of Canada (formerly Congress of Aboriginal Peoples) was founded in 1971 as the Native Council of Canada (NCC), and was originally established to represent the interests of Métis and non-status Indians. 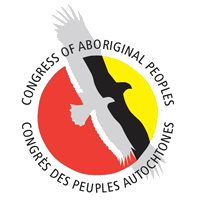 Reorganized and renamed in 1993 to the Congress of Aboriginal Peoples (and in 2016 to the Indigenous Peoples’ Assembly of Canada), IPAC has extended its constituency to include all off-reserve status and non-status Indians, Métis and Southern Inuit Aboriginal Peoples, and serves as the national voice for its provincial and territorial affiliate organizations. IPAC also holds consultative status with the United Nations Economic and Social Council (ECOSOC), which facilitates its participation on international issues of importance to Indigenous Peoples. 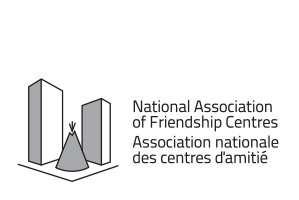 Established in 1972, the NAFC represents a network of 118 Friendship Centres from coast-to-coast-to-coast. For over 50 years, Friendship Centres have been the primary providers of culturally enhanced programs and services for Aboriginal people living in urban areas. 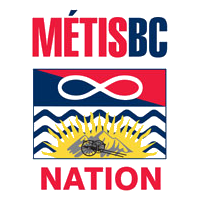 Representing more than 14,000 provincially registered Métis citizens and a majority population of nearly 70,000 self-identified Métis people, the MNBC is recognized by the provincial and federal governments and the Métis National Council as the official governing organization in the province of British Columbia. The MNBC represents the Métis National Council on the 4Rs’ Partners Advisory Committee. For more than 165 years, YMCAs have been at the centre of communities across Canada, helping people of all backgrounds, ages and abilities reach their potential. 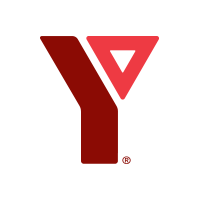 A charity dedicated to the health of individuals and communities, the YMCA is committed to nurturing the potential of children, teens and young adults, promoting healthy living and fostering social responsibility. The YMCA is accessible to all, and our Federation of 44 YMCA and 5 YMCA-YWCA Member Associations serves more than 2 million people in more than 1,000 locations annually. YWCA Canada is the country’s oldest and largest women’s multi-service organization. With 32 Member Associations across the country, our Turning Point Programs for Women™ serve women and girls in nine provinces and two territories. YWCA Canada is the nation’s single largest provider of shelter to women and children fleeing violence, the second largest provider of childcare services, and an active member of the World YWCA. For more information find us on Twitter @YWCA_Canadaor on facebook.com/ywcacanada. Boys and Girls Clubs of Canada is dedicated to supporting and encouraging children and youth as they grow and develop. As Canada’s largest child- and youth-serving agency, our Clubs provide services to 200,000 young people in nearly 700 locations across the country. Our trained staff and volunteers listen to the opinions and ideas of children and youth, applaud their accomplishments, lend support during their struggles and provide ways for them to explore their interests and talents. With this encouragement, young people develop the confidence and sense of belonging that helps them succeed in school, form positive relationships and mature into responsible, caring adults. For 115 years, we have welcomed children, youth and their families into Clubs that reflect the diversity of Canada in small and large cities, and rural and Aboriginal communities. Follow us at www.facebook.com/bgccan and www.twitter.com/bgccan. Pathways to Education is helping youth in low-income communities graduate from high school and successfully transition into post-secondary education. Pathways addresses systemic barriers to education by providing leadership, expertise and a community-based program proven to lower dropout rates. The Pathways program provides a comprehensive set of academic, financial and social supports to youth. The results of this unique program have been groundbreaking, reducing high school dropout rates by as much as 70 per cent, and increasing the rate at which youth go on to college or university by up to 300 per cent. Founded in 2001, Pathways operates across Canada with Program locations in Ontario, Quebec, Nova Scotia, Manitoba, and British Columbia. Established in 1937, the J.W. McConnell Family Foundation engages Canadians in building a more innovative, inclusive, sustainable, and resilient society. Community Foundations of Canada is the national network for Canada’s 191 community foundations, which help Canadians invest in building strong and resilient places to live, work, and play. The Inspirit Foundation launched in 2012 with a vision of an inclusive and pluralist Canada. We support, convene and champion powerful ideas — media products & platforms, activities, programs & events, research projects & publications — that foster learning, inclusion and collaboration. We believe our diverse society will be stronger when we build bridges between our wide range of backgrounds and beliefs. 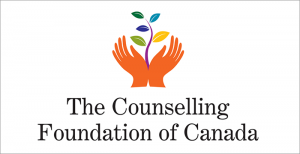 The Counselling Foundation of Canada, a family foundation funded by Frank G. Lawson and his estate, was established in 1959 to create and enrich career counselling programs and improve the technical skills of career counsellors. The object of the Foundation is to engage in charitable and educational activities for the benefit of people; thus enabling them to improve their lifestyles and make a more effective contribution to their communities. Is your organization interested in supporting the 4Rs Youth Movement? Contact us to discuss the potential to collaborate!